Turn up the heat and take on your friends and family for a 1-on-1 basketball shootout. 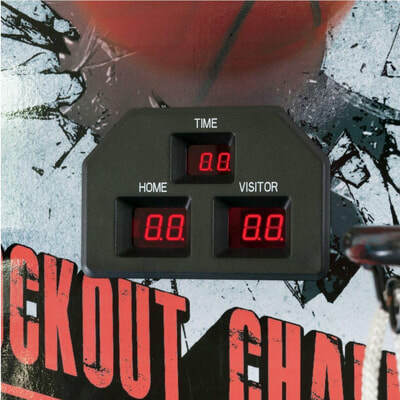 Show off your skills while racking up your points on the electronic scoreboard. 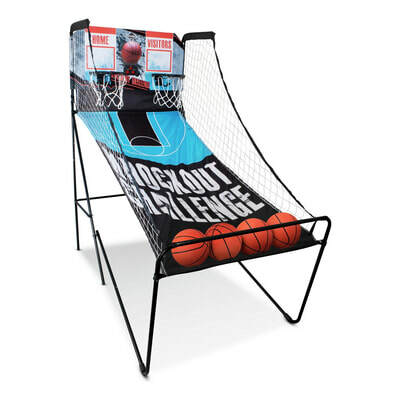 This kit includes everything you need, including 4 basketballs so you can focus on the game. Electronic scorers for 1 to 2 players. Time countdown and game play sound effects for funfair atmosphere. Convenient fold-up design for safe, easy storage. 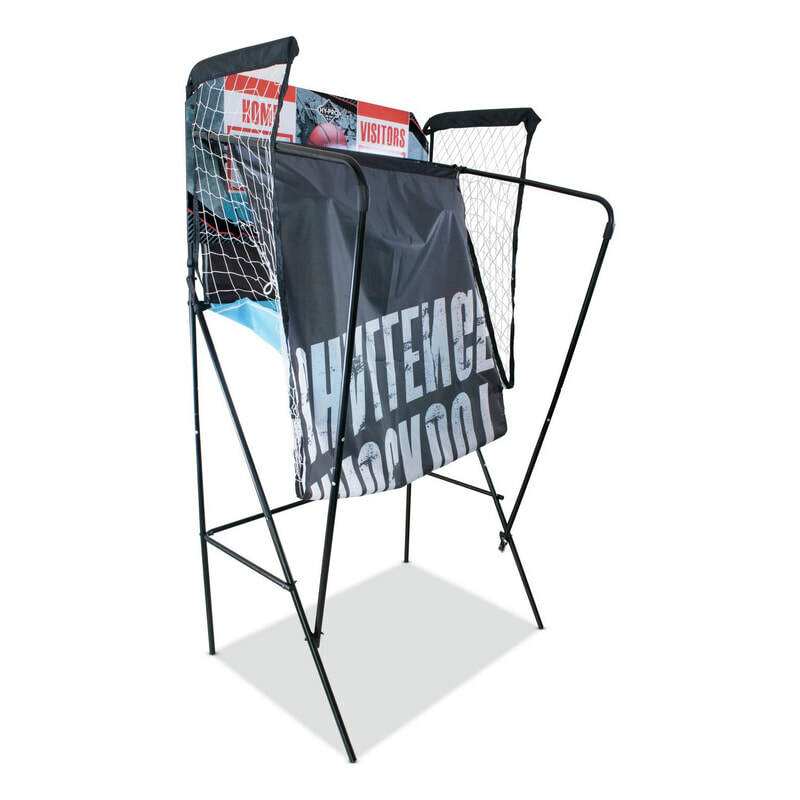 Features dual baskets for multiple players at a time. Made from iron, mdf, fabric, rubber. Suitable for 5 years and over. Size L210, W110, H203cm open/unfolded. Size L88, W110, H203cm closed/folded.